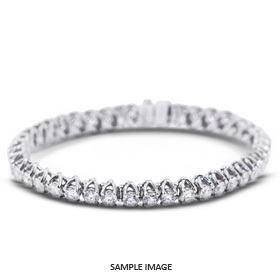 We offer a wide range of diamond bracelets in basket, trellis or other styles of setting. Our diamond bracelets are available in both brilliant cut and princess cut shapes from 0.02 carat each and up. All of our diamond bracelets available in white gold, yellow gold and platinum.